In preparation for the Great American Beer Festival (GABF), it’s time to offer some quick resources for GABF attendees and Colorado locals to visit breweries within an hour of Denver and see some scenic beauty along the way. This series highlights drives from our website, encouraging beer enthusiasts to enjoy brewery tours beyond GABF. Today’s post focuses on a tour of Longmont, that can easily connect to Boulder, Loveland, Greeley, or Fort Collins for a longer day. No matter what, get out there and enjoy! We’re often at a loss about how to include Lefthand Brewery of Longmont, on a weekend beer tasting circuit. We somehow end up going to it last on the way back from Fort Collins or with an extra jaunt north from Boulder. This is never a good idea and it’s ended up always being that “one brewery too many.” We make it home later than expected, often hungry, and always a bit cranky. The solution? Go to it first! Check out one of their seasonal taps like the Good JuJu (a light golden ale loaded with organic ginger), or their Oktoberfest (a malty fall warmer). And no trip to Left Hand is complete without the always satisfying Milk Stout on nitr0. Left Hand is one of those wonderful breweries that always has their old classics, and at least a couple new and interesting beers on tap. The atmosphere combines the vibe of a local’s gathering place, a music venue, and a welcoming bar for the wandering beer enthusiasts. 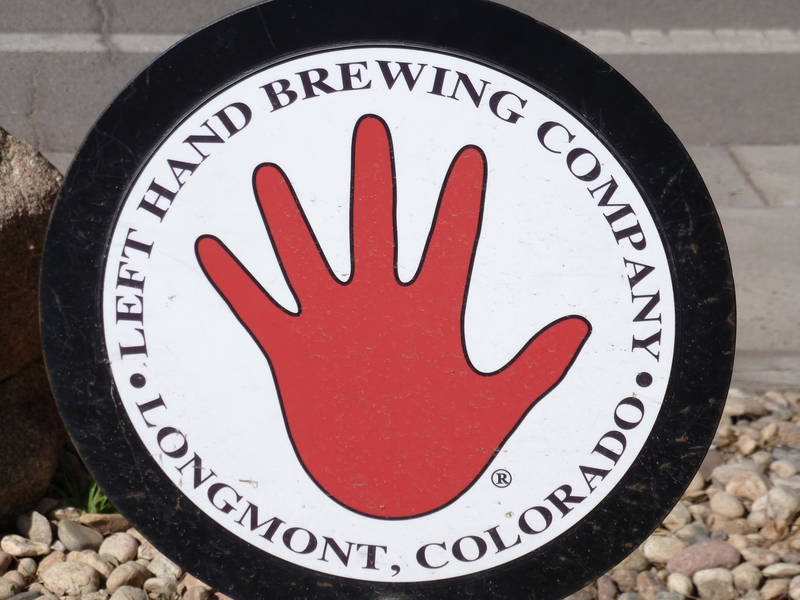 Left Hand has also been a great addition to the Crafty Ladies’ events at Highland Tap and Burger, and remains a place of pride for all Colorado craft beer fans. After Left Hand, head 5 minutes South on Sunset to the Oskar Blues’ Tasty Weasel Taproom at Oskar Blues’ corporate headquarters down the street. Thank you to Lindsay’s smart phone for helping us discover the grooviest of the 3 Oskar Blues’ locations. We’ve enjoyed the original location in Lyons for years, and recently started stopping at the big Oskar Blues location on the northeast end of the diagonal highway. 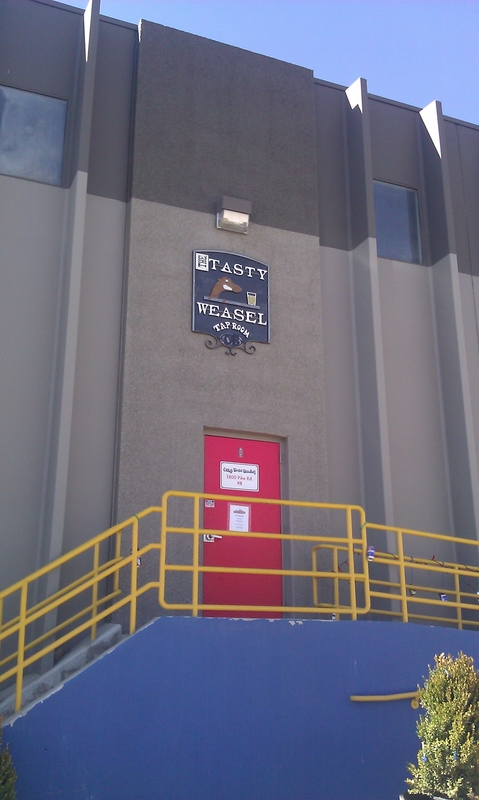 But the Tasty Weasel Taproom is the hidden gem of the bunch. With Skee Ball, (yes, skee ball! and other fun games), open space to gather with friends and family, intimate views of their brewing operation, and a food truck out front most weekends, the Tasty Weasel taproom is the place to enjoy the big beer that Oskar Blues is famous for nation-wide. From Tasty Weasel, you could head north and connect these two breweries to the Loveland Drive (checking out Grimm Brothers and Loveland Aleworks), or our favorite option, wander down to the all-organic Asher at the other end of the Diagonal Highway, and then continue on to Upslope and others locations on our Boulder North Loop, (see more details about this option, and enjoy more great Colorado craft beer). This entry was posted in Craft Beer Adventures, Mini-Series on Breweries Near GABF and tagged Breweries Near Boulder, Breweries near Denver, Breweries Near Fort Collins, Breweries near GABF, Breweries within an hour of Denver, Denver Brewery Tours, GABF Sidetrips, Longmont Breweries.